With the number of gun laws constantly that are being proposed and changed at the federal and state levels, it can get confusing trying to keep track of the ones that affect you and your gun rights. Luckily, as a freedom-loving state, West Virginia does not have too many laws keeping law-abiding citizens from getting firearms and defending their freedoms. Just grab one off the shelf! Well, almost. 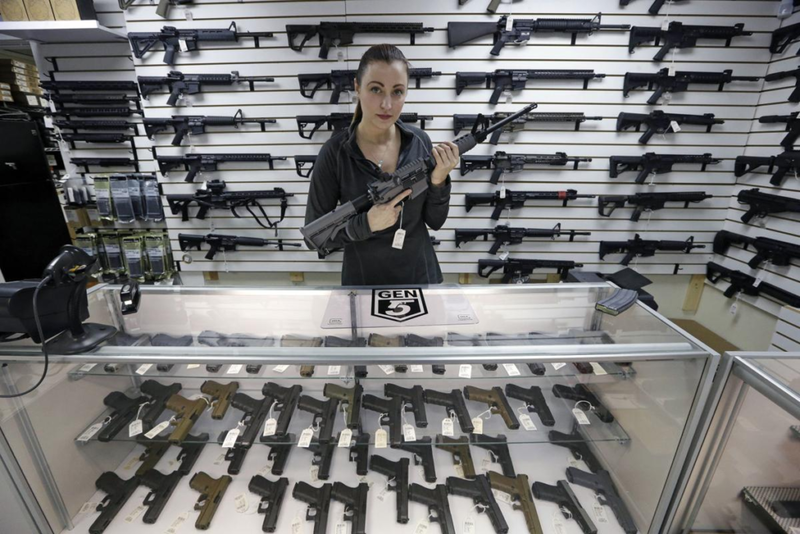 Unlike the poor saps in California and New York, the process for purchasing a handgun in the Mountain State is relatively straightforward, and basically just follows the federal requirements, with no purchase permit required. Even better, the background check is only required when you are buying from a licensed firearms dealer like the one at your local gun store. If you are buying a handgun from a private seller, no background check is needed. If none of those situations apply to you, you’re good to go! All you need to do now is to decide which handgun to buy! Rifles need love too! Fortunately, the requirements to buy a long gun are almost the same as those for handguns, with no purchase permit required either. In fact, it’s actually slightly easier to buy a long gun than a handgun. Just like with handguns, you can avoid the background check if you make the purchase through a private seller, instead of your local gun store. The downside, of course, is that you won’t get that new gun smell. Priorities. Don’t forget that the conditions that would prohibit you from owning and buying a handgun also apply to long guns. That’s it! Easy peasy. Once you go through the very simple purchase process, you’ll want to show off your shiny new toys in style. Thankfully, West Virginia is a permitless carry state. This means that anyone who is not prohibited from owning a firearm may carry a firearm openly or concealed. That’s right! As long as you are legally allowed to own a gun, you can carry it however you want! It might be a little tricky trying to conceal a shotty, but you’re certainly welcome to try! There is one thing to note, however. While you don’t need a permit to carry concealed, the state does issue CCW permits, for those of you would want to carry concealed even when travelling outside of the state, or in the car (more below!). There are a good number of states that recognize a West Virginia CCW permit and allow you to carry concealed while visiting. If you’re interested in applying, head on over to our West Virginia CCW Laws section to find out what you need to do to get that permit, and the additional laws that go along with it. Even though you don’t need a permit to carry openly or concealed, there are separate rules when riding in the car with your guns. In order to carry a concealed handgun while in the car, you’ll actually need to have a concealed carry permit, and can only carry the firearm for self-defense purposes. If you don’t have a concealed carry permit, you can still have handguns in the car, but they’ll need to remain in plain view. Putting your pistol on the dash would be legal, but you’ll want to make sure it doesn’t go flying when you have to brake suddenly. If you have any firearms that used for hunting, they must be unloaded and in a case while being transported. In fact, the West Virginia State Police actually recommends keeping firearms unloaded and in a case when you are transporting them in your vehicle, even if you aren’t going hunting. If you are ever pulled over by the police for any reason and they see an unconcealed firearm, they will probably draw their weapon, order you from the vehicle, or perform a pat-down search, none of which sound very fun. Unless you’re into that kind of thing. 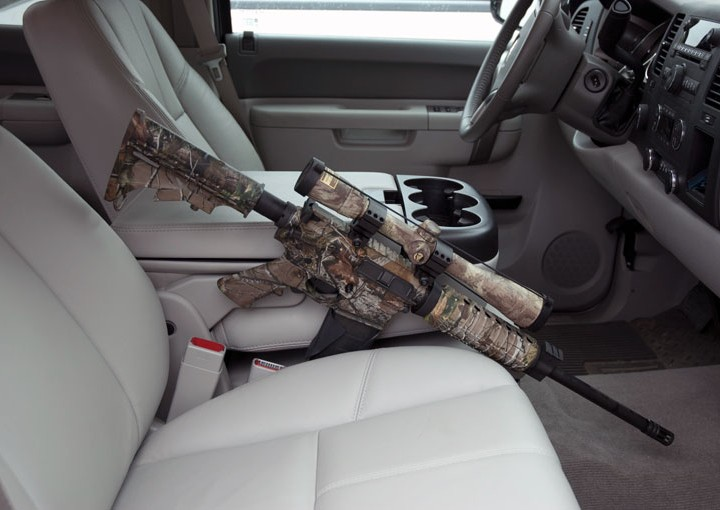 If you decide to keep your firearms by your side while in the car, just make sure you follow the instructions of the officers that you come across and you should be fine. And maybe no sudden moves. All the time! But really, just at the range and when you’re out hunting. And sometimes at home. West Virginia, like the many other freedom-loving states in the US, has laws on the books that allow for the use of deadly force in self-defense situations. 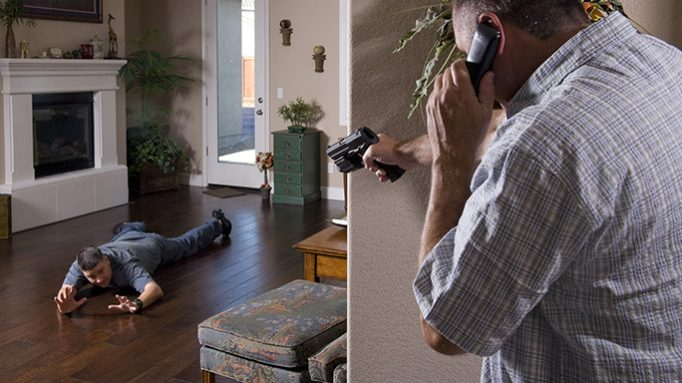 Under the law commonly known as the “Castle Doctrine”, West Virginia allows you to use deadly force to defend yourself and others when you are in your home. Specifically, as long as you have a reasonable fear of imminent peril of death or great bodily harm to yourself or someone else, you are justified in using deadly force to stop the threat. If someone removed or is attempting to remove another person against their will, from the home or occupied vehicle. It’s important to keep in mind that you have to actually be in the home or vehicle in order to be justified in using deadly force to stop an unlawful and forcible entry. 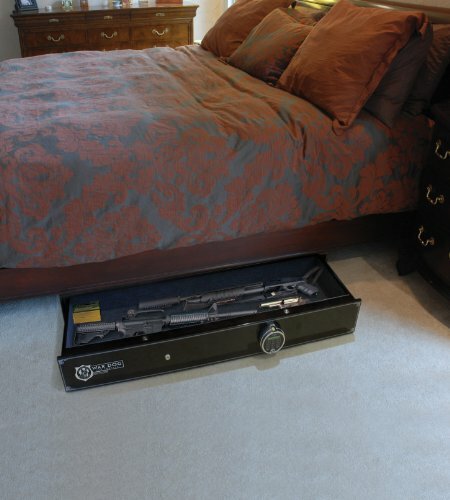 If someone breaks into your house while you’re sleeping, and you reasonably believe they intend to cause you harm, then you can use deadly force to keep that harm from happening. If, however, someone breaks into your car in the driveway while you’re sitting on the couch watching TV, you cannot start shooting at your car to stop the person. There was no reasonable way to think that a person stealing your car would cause you harm inside your home. And no, you can’t jump into your car and then claim self-defense. You picked the wrong house, pal! Besides being able to defend yourself and others while at home or in your vehicle, West Virginia also has a “stand your ground” law that allows you to use deadly force in self-defense if you are outside the home, and believe it is reasonably necessary to prevent death or great bodily harm to yourself or someone else. Like all “stand your ground” laws, you are not required to retreat to safety before using deadly force to defend yourself or others. Of course, there are some conditions on the law. You are allowed to defend yourself as long as you are somewhere you are legally allowed to be, and not breaking the law yourself. So, if you’re out at a restaurant, you can engage the bad guy who just came rushing in with a gun, but not if you are in an employees-only area. Even with these laws permitting self-defense, it is important to keep in mind that just because you are justified in using deadly force does not mean it is required. Taking a life is a serious decision, and you should always use your best judgment to decide what type of force is appropriate, or if it is necessary to stand your ground, when retreating may be the safer option for you and others around you. And with that, we’re done! 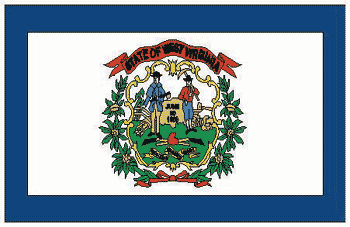 You now know everything there is to know about gun laws in the great state of West Virginia! If you are interested in getting that CCW permit so you can carry concealed in your car or on your next trip out of state, be sure to check out our West Virginia CCW section.